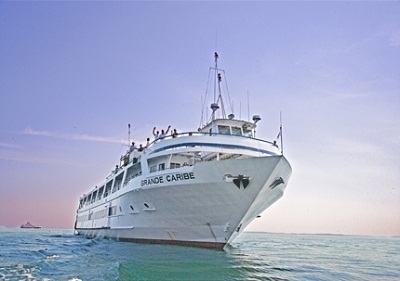 Explore in comfort among like-minded travelers onboard the Grande Caribe. Renovated in 2009, the ship features state of the art technology and new décor. The scenery along your journey is always on display, from under the canopy lights of the top deck or in a 180 degree panorama from the lounge; most staterooms also offer a view. Fresh meals are available each day in the dining room, where open seating provides an ideal opportunity to get to know your companions. Snorkeling equipment, kayaks and bicycles are available for the more adventurous travelers. At the end of a day of exploring, a comfortable stateroom awaits you for a peaceful night. Tipping Guidelines Blount Small Ship Adventures recommends $14.00-$16.00 per day, per guest. These amounts can be adjusted onboard.